Colombo City Centre, in collaboration with the India-Sri Lanka Foundation and Indian Council for Cultural Relations, commemorated Indian Republic Day by showcasing the exuberant, colourful and vibrant nature of India’s unique culture. 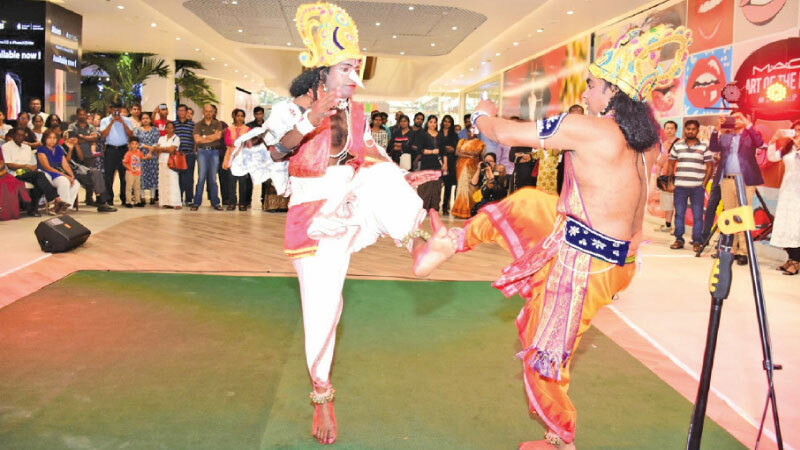 The cultural event took place recently, at the Colombo City Centre Mall. The chief focal point of Colombo City Centre’s Republic Day celebrations was the mesmerizing Mayurbhanj Chhaudance, a semi-classical dance that has roots in the dynamic martial, tribal, and folk traditionsof Odisha, the Eastern State of India. The dance piece included lyrical movements that brought famous Indian folklore tales, epics, and religious sentiments to life. The all-male troupe performing this act was led by Shri Bibhuti Bhusan Mohanta, a renowned choreographer and dancer who has enthralled audiences on major stages in the United Kingdom, Indonesia, Singapore, and many other places. A highly anticipated addition to the capital’s fast-developing skyline, Colombo City Centre is Sri Lanka’s first BOI-approved mixed development project. The USD 180 Million joint venture between local retail giant, Abans, and Singapore-based Next Story Group is one of Sri Lanka’s largest foreign direct investments in recent times, and rises 47-storeys above the heart of the city. Honored as the ‘Most Promising Mixed Use Development’ by CMO Asia, ‘Asia’s Greatest Brand’ by AsiaOne Magazine and ‘Upcoming Mall of the Year’ among several other accolades by the Golden Globe Tigers, Colombo City Centre is a multi award-winning skyscraper dedicated towards transforming Sri Lanka’s capital into a global metropolis with the first integrated lifestyle complex of its kind. This includes Sri Lanka’s first international mall with high-end brands, a 700-seat food court and 6-screen multiplex cinema, the upscale NEXT Hotel® with 164 keys, and 192 luxurious residential units designed to offer unmatched views of the city, Beira Lake, and Indian Ocean.